My client launched a Foodtruck and decided to promote it on Facebook. 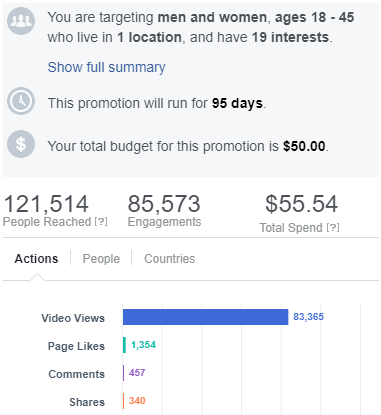 I was in charge of the strategy during 3 months and produced a video to spread interest about the business and build an audience on the recently created page, along with daily content. 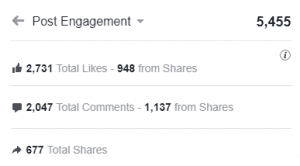 The reach of the video was boosted using Facebook Ads and the gathered audience was retargeted with different ads. 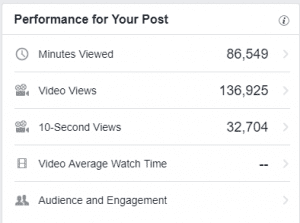 Ad performance, the cost per action (video views) was less than .01 cent. 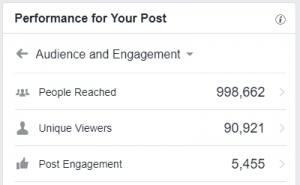 Total post results, including both organic and paid reach, almost reaching 1,000,000 people.